Dailybuzz.ch: Meek Mill Calls Out Wale On Twitter: Wale Responds On Instagram - Trouble In MMG’s Camp - Rick, The Kids Are Fighting ! 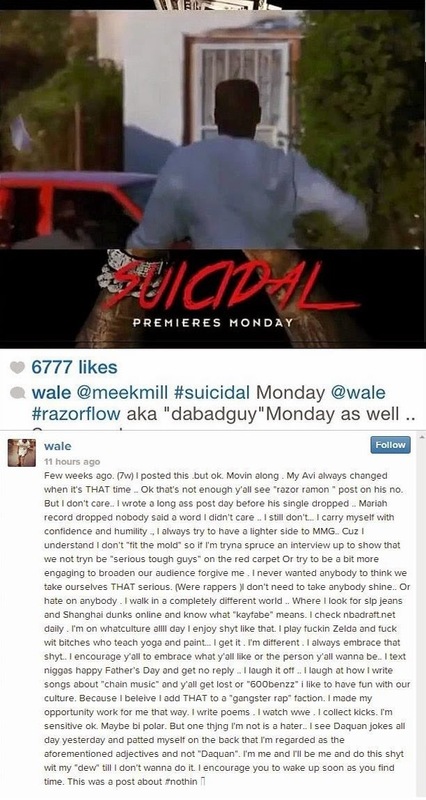 Meek Mill Calls Out Wale On Twitter: Wale Responds On Instagram - Trouble In MMG’s Camp - Rick, The Kids Are Fighting ! This might be the most left-field rift we’ve seen in rap in quite some time. 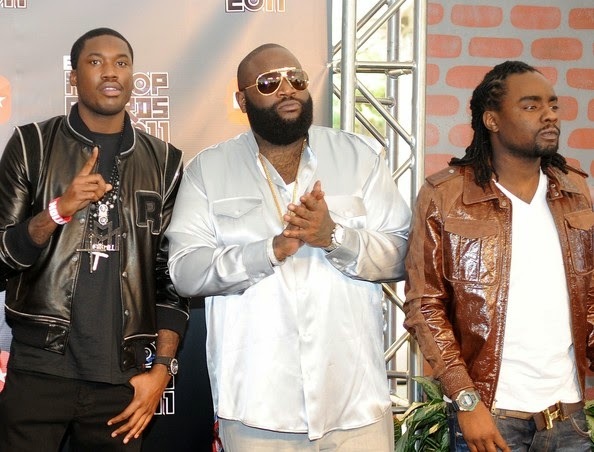 Rick Ross‘ tightly knit camp appears to have some trouble brewing, after Meek Mill took to Twitter to air out some of the issues he has with Wale, who, along with Meek Mill, signed to Rick’s label in 2010. Seems like a really personal issue between Meek and Wale, but Wale not promoting anything about Meek’s new album, Dreams Worth More Than Money, on his social media apparently added fuel to the fire. Yesterday, everyone from MMG joined in tweeting about Meek’s release date, which was announced Monday morning. 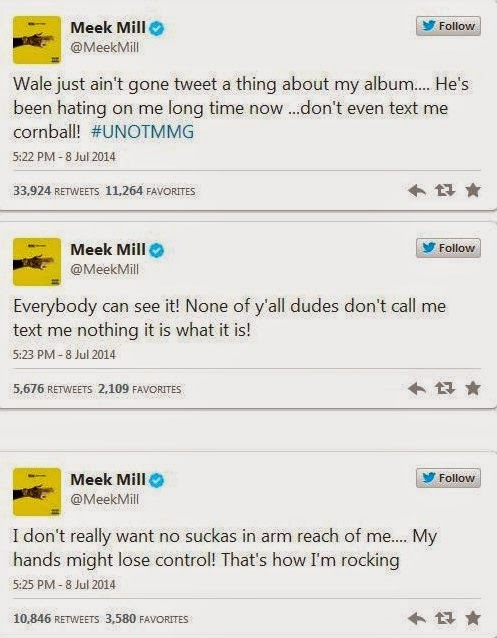 As reported on the anger-filled tweets Meek Mill sent out, aimed at calling out his “friend” and labelmate, Wale. Wale was one of the few people associated with MMG that didn’t tweet anything about the release date for Meek Mill’s new album, Dreams Worth More Than Money, being announced yesterday, and clearly, Meek took exception to that.